I started working with John Yousif a number of years ago. When I met him, he had opened up his Boxing Fit Gym some nine months earlier, and was going through the processes of building the gym membership and the gyms facilities. John had had some previous experiences of owning small businesses and was using his past experiences to help him establish his new gym. This was going well, however, John was working long hours 7 days a week, running each of the sessions every day in the gym, and not growing at the speed he required. We took some time, to look at what John wanted to achieve with the gym and in his life as a whole. It became clear, that John’s focus was not on himself, but on his family, his members success and the community around him as a whole. As we looked at what he wanted to achieve (his goals) he had specific goals for the business, his personal life and the community. We took the time to place the goals in each of these categories and then giving them an estimated time frame of when he could achieve them. In doing this, we then looked at what had to happen in the business and in his life for him to achieve his goals. From this we were able to start developing the first quarterly action plan, where John set specific goals for the quarter and then determined the most important activities that would need to be carried out to achieve those quarterly goals. I then took some time to help John start the process of discovering how to create his weekly plan using a default weekly planning process. John listed all of the activities he had to carry out in running the gym. We then sorted them into categories, marketing, sales, admin, operations, member training, personal development and product development. Over the following months, John then developed a weekly default plan, in which he set certain times aside on specific days each work to work on activities in specific categories. i.e. 9.30am to 11.00am on Mondays – Marketing activities, 9.30am to 11.00am on Thursdays – Operations activities, 10.00am – to 11.30am on Tuesdays – Sales activities. This default process enables John to be in control of what he was doing each week and group activities for categories together. As you would expect, not every week went to plan, things can happen. However, as John developed further skills in the areas of planning, time management, self-discipline and people management, he was able to get more and more control of each week. We also worked on how John planned and managed each day, ensuring that he was very clear on everything that needed to be completed each day, identifying the most important activities for the day and irrespective on how long they would take, how difficult they were, or whether he like doing them or not, that they were done as early in the day as possible or in the specific time of day that they could be done. As a result of this, over the following 6 months, John went form working long hours 7 days a week to working 4 ½ days a week, and starting to reduce the hours he worked as well. 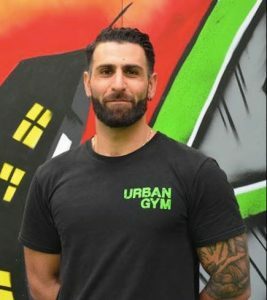 The planning and people skill development process enabled John to develop his marketing, resulting in membership growth, develop the facilities of the gym and more importantly enable John to start achieving some very important personal goals in his life. In the time since working directly with John, I have been in constant contact with him and watching him continue to use and further enhance these skills, and them result in some great achievements in his business and personal life.